been subjected to housing discrimination based on disability. The Housing Access Project protects individuals throughout California who have been subjected to housing discrimination based on disability.The mission of the Housing Access Project is to ensure equal access to housing opportunities for all people, regardless of race, religion, gender or other characteristics protected by law. The mission of the Housing Access Project (a DBA of Potter Handy, LLP) is to ensure individuals with disabilities have equal access to housing opportunities. The Housing Access Project fulfills its mission by combatting discriminatory housing practices and by assisting individuals in enforcing their housing rights under state and federal fair housing laws. Refusing to rent to someone because of their disability. Harassing a tenant on the basis of disability. Refusing to change a policy to accommodate a tenant or applicant with a disability. For example, refusing to waive a “no pet” rule to allow an individual to reside with his or her assistance animal. Refusing to allow a tenant with a disability to make physical modifications to his/her unit or common areas to increase accessibility. For example, installing lowered counters or a ramp. 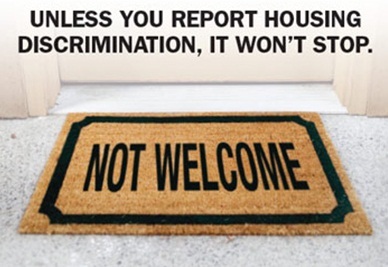 Threatening, coercing, intimidating or interfering with a tenant for asserting his or her fair housing rights. The Housing Access Project provides free legal services to individuals with disabilities throughout California who have been subjected to housing discrimination. The Housing Access Project does not represent individual in evictions or in landlord-tenant disputes that do not involve discrimination. If you believe that you have been the victim of housing discrimination, please contact the Housing Access Project for help. The attorneys at the Housing Access Project have compiled a list of frequently asked questions and answers to some of the most common Housing Rights topics.